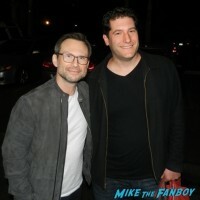 Christian Slater Goodness! The Mr. Robot Star Stops To Greet Fans, Signing Autographs! And More! mike September 11, 2017 Fanboying! Spamalot Time! 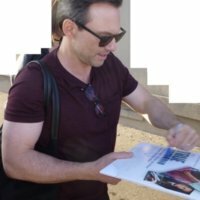 Meeting Christian Slater! Warwick Davis! Eric Idle! Craig Robinson! Jesse Tyler Ferguson! Autograph Goodness! mike March 26, 2017 Fanboying! Mr. Robot Cast Q And A! Meeting Rami Malek! Christian Slater! Carly Chaikin! Portia Doubleday! And More! True Romance! 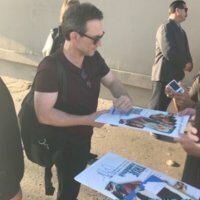 Billy Beer Checks Out The Cast Live Read And Meets Alabama Herself Patricia Arquette! Christian Slater! And More! Billy Beers Barstool December 18, 2015 Billy Beer's Barstool, Fanboying!